Info: Created on 27th August 2009 . Last edited on 20th February 2010.
very minimalist :) great economy and effect. and a wonder when viewed at pixel size. I'm totally in for the F, it adds some etherealness, the 0 some technicality and the k some freshness... to my point of view. The only thing I'm not too sure about is the l/c x ... it seems to shrink at pixel size. but the lc "x" does seem a bit odd, besides the conection cross is half a brick upper than it should be. @frodo: :-) Fixed the comma. It is now M.
@cayo: :-) The strong repetitive nature wasn't allowing much else to be done to those. @pnut: :-) Reworked x a bit. @jmarquez: :-) Thanks for noticing details at half-brick level. You guys are a wonder! Love it. Congratulations! FontStruct Staff have deemed your FontStruction worthy of special mention. 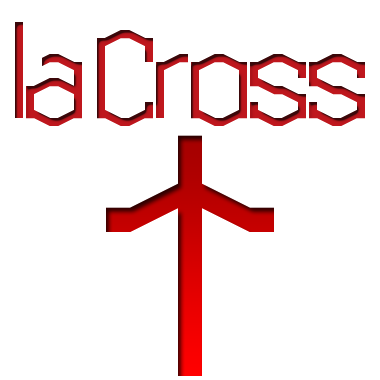 “fs La Cross” is now a Top Pick.